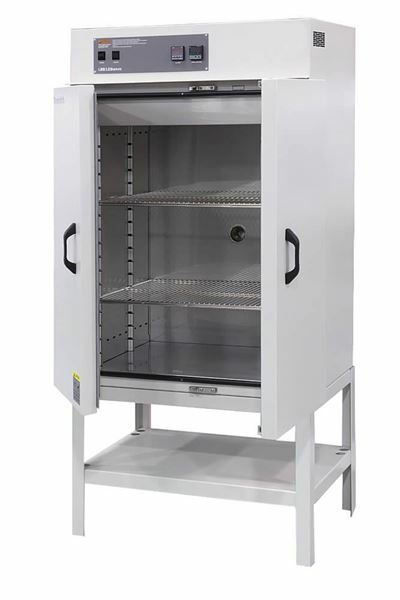 Stand for DOL-69A Standard Despatch Electric Oven - Gilson Co.
DOLA-82 Stand for DOL-69A Standard Despatch Oven with 6.9ft3 Chamber is constructed of sturdy enameled steel with a built-in storage shelf. The 22in (559mm) high stand positions the oven for easy ergonomic access. The top of the stand is 36x27in (914x610mm) WxD. 12" Sieve, Brass/Stainless, Full Height, 3/8"
12" Sieve, Brass/Stainless, Full Height, 3/4"
12" Sieve, Brass/Stainless, Full Height, 2"
12" Sieve, Brass/Stainless, Full Height, 1/2"
12" Sieve, Brass/Stainless, Full Height, 1-1/2"